The iPad Mini was unveiled yesterday by Apple, and we learned a lot about the new smaller iPad during the course of their special event. For starters, we learned that while it’s substantially smaller than the standard iPad it’s also quite a bit bigger than some of the currently popular small tablets on the market. It offers a nearly 8 inch display (7.9 inches) as opposed to the 7 inch screens of the Kindle Fire and Google Nexus 7 devices, and Apple says that gives it a 35% larger total screen size when totaling up square inches. We also learned that the iPad Mini will have a non-retina 1024X768 display, and it has an overall set of specs that matches and in several places beats those of the iPad 2, it has expanded LTE coverage for its WiFi + cellular models, the same great iPad battery life as its bigger siblings, and Apple’s new Lightning cable, among other notable features. It also boast two other significant features that have been much less talked about so far – one that is already established and very effective and one brand new one which will hopefully be as good as Apple says it is. — Pre-orders start on October 26. Generally with big Apple releases this means that pre-orders will begin at midnight Pacific time on that date – and if this new smaller iPad proves anywhere near as popular as previous models you can expect Apple’s online servers to be slammed and pre-orders to sell out relatively quickly. — The iPad Mini launch day, when it will be available to buy at Apple stores and other approved outlets, is November 2 – for the iPad Mini WiFi models. November 2 is the release day in 34 countries: the US, Australia, Austria, Belgium, Bulgaria, Canada, Czech Republic, Denmark, Finland, France, Germany, Hong Kong, Hungary, Iceland, Ireland, Italy, Japan, Korea, Liechtenstein, Luxembourg, Netherlands, New Zealand, Norway, Poland, Portugal, Puerto Rico, Romania, Slovakia, Slovenia, Singapore, Spain, Sweden, Switzerland and the UK. 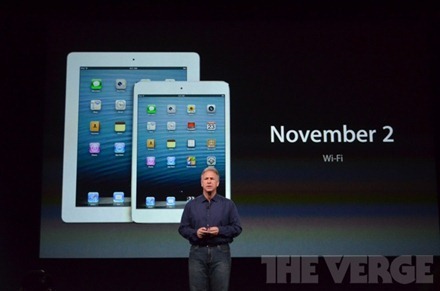 — The iPad Mini WiFi + cellular models are expected to be released around two weeks later. 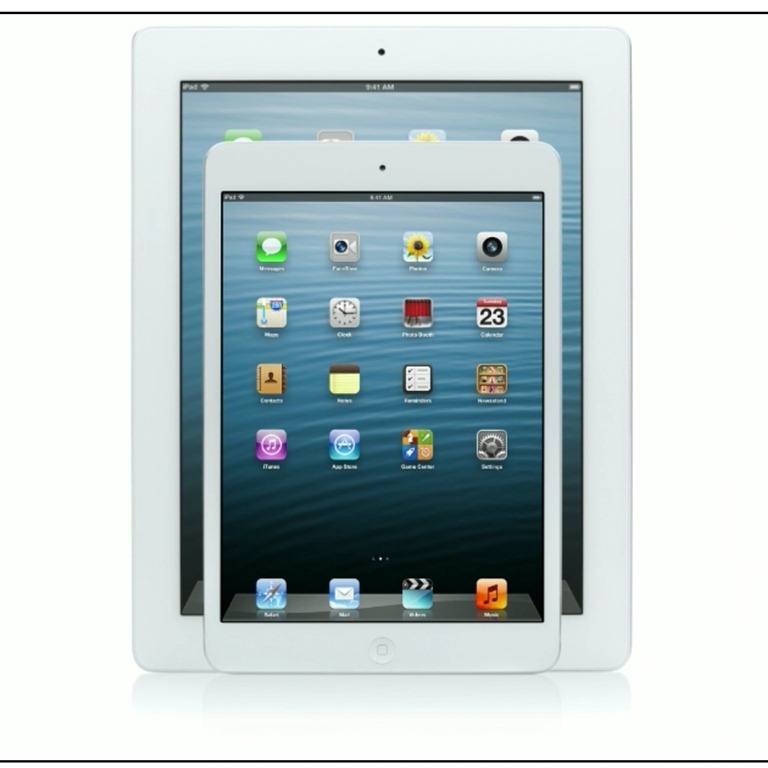 — The base level 16GB WiFi only iPad Mini is priced at $329. Models go up $100 for each doubling up of storage capacity (so $429 for the 32GB WiFi only for example) and $130 for the addition of cellular capability. 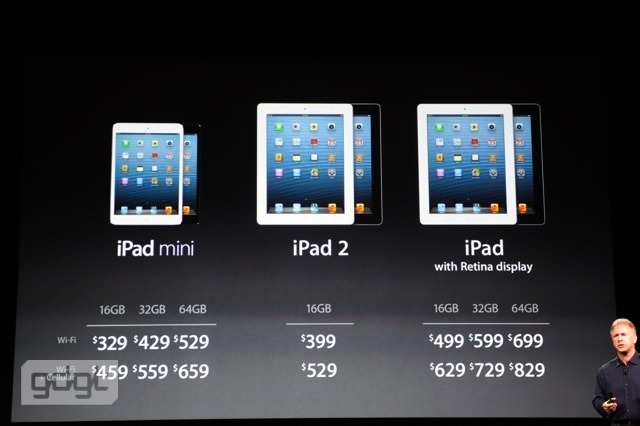 See my earlier post for full iPad Mini pricing details. At their event today and throughout the iPad Mini product pages, a lot of emphasis is put on how Apple wanted to deliver the smallest possible iPad while still delivering ‘the full iPad experience’. In one of the promo videos shown during the event Sir Johny Ive describes the process as a concentration rather than a reduction – making the case that it is far from just a downsized iPad. — The iPad Mini has a single-cell battery that’s the thinnest ever made by Apple, but it still lasts just as long (10 hours). — The iSight camera in the iPad Mini is smaller, but still takes 5 megapixel photos and 1080p HD video. iPad mini intelligently recognizes whether your thumb is simply resting on the display or whether you’re intentionally interacting with it. I’m still digesting what I saw and heard at the Apple event earlier and making my way through all the details on the iPad Mini. Lots more to come today and the rest of this week. The iPad Mini has a starting price of $329, for the base 16GB WiFi model. The range of models goes from 16GB WiFi only through to a 64GB WiFi + cellular model that will go for $659. Just as predicted by Asymco last week, the price bumps up $100 for each doubling of storage size on the iPad Mini, and around $130 for the addition of cellular capability – as you can hopefully see in the shot above. The $329 entry level price for the iPad Mini is a fair bit higher than some of us were hoping for (around $250 or so). Now some will certainly question whether this price is keen enough to compete with lower priced 7 inch tablets from Google, Amazon and others. 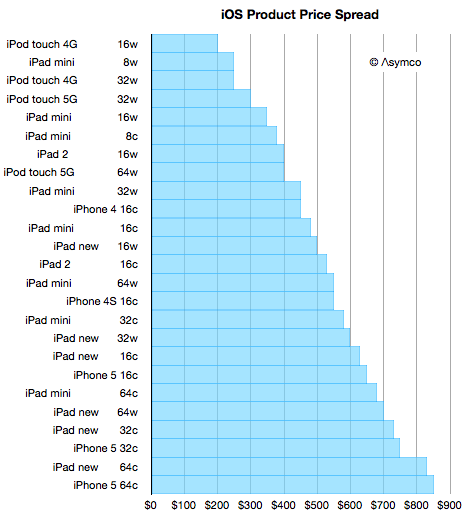 What do you all think of the iPad Mini pricing levels? 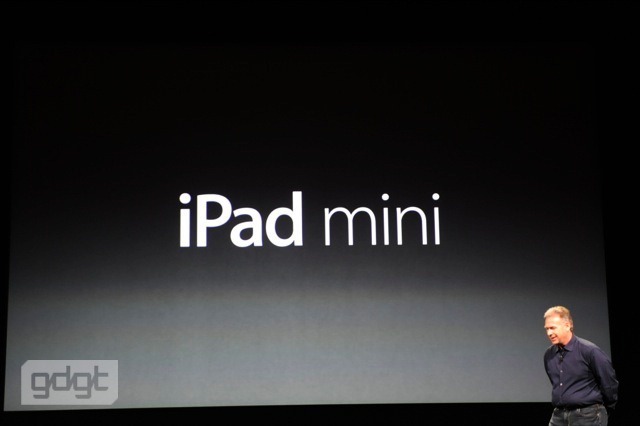 Apple has just announced the new iPad Mini. Phil Schiller held it up on stage just a few minutes ago. As expected, it’s a nearly 8 inch tablet (7.9) – larger than the Kindle Fire or Google’s Nexus 7, but a fair bit smaller than the standard-sized iPad. It has an XGA 1024X768 display resolution. Watch Live on your Apple TV – look for the ‘Apple Event’ icon on the Apple TV to tune in. All three should provide good live coverage from at the event. Oh, and of course we will be updating iPad Insight frequently today with all our thoughts as the event unfolds. 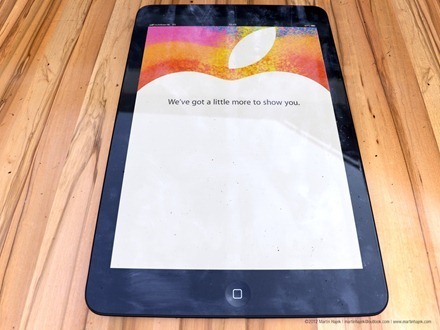 OK, I’m sure many of you will be glad to see the back of iPad Mini rumors and posts about them here once Apple tells us all about the new smaller iPad tomorrow. But here’s just one more iPad Mini related rumor that I really like the sound of: 9to5Mac and many others are predicting that along with the unveiling of the iPad Mini tomorrow, there will be a strong focus on education. 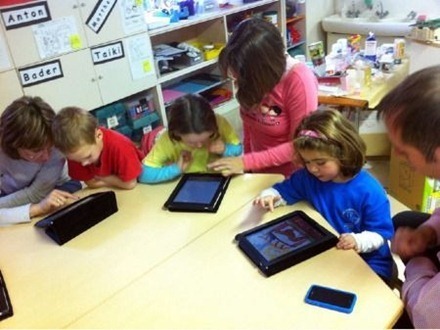 We’ve written often here about the increasing and impressive impact the iPad is having in the education arena – from kindergartens right up to the most prestigious of universities. My colleague Alicia wrote about it eloquently after Apple’s special education event at the beginning of this year, I’ve covered many notable school rollouts or results of pilot programs in schools, and I mentioned it again in my recent post on why the iPad Mini is exciting. So I’m delighted to see today’s rumors that Apple execs will highlight the iPad’s ‘educational capabilities’ at the iPad Mini launch event tomorrow, and the recent leaks showing a major update for the iBooks app, to Version 3.0. A smaller even more portable, lower-iPad should make an iPad per student much more of an attainable goal for many schools and school districts – and I’d happily bet that the iPad Mini will take the iPad from big in education to more like huge in education. I believe it’s a fantastic learning tool and I’m excited to see what Apple have to say about the iPad and education tomorrow. Do You Need a Mini Smart Cover for the iPad Mini? 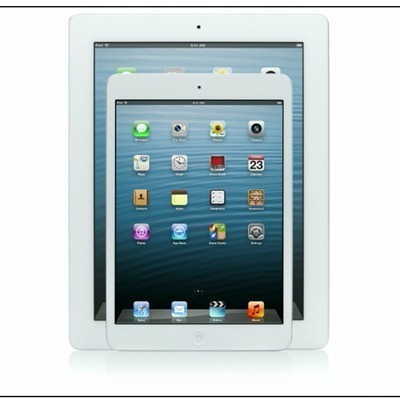 It looks like 9to5Mac may have some inside information on Apple Smart Covers or cases for the (expected) iPad Mini. They’ve seen some part numbers that they think are smart covers for either the new smaller iPad or possibly for new standard-size iPads updated with Apple’s new Lightning connector. When I first saw their post my initial reaction was along the lines of ‘Hey, I want a Mini Smart Cover’ – but after a couple minutes I thought perhaps not. I love using the Apple Smart Cover on my iPad 3, as it’s lightweight, offers the slick automatic sleep/wake feature, and provides protection for the lovely retina screen. But the general consensus at the moment is that the iPad Mini will not have a retina screen, so I’m thinking I would be happy to put a screen protector on it (which I don’t on the new iPad 3). And since the iPad Mini should be an even more portable device than the current iPad, one that’s almost pocketable, I’d rather not add much of any bulk to it. With Apple’s announcement of the iPad Mini expected next Tuesday, and the release anticipated to be on November 2, it’s about time to start thinking about possible price points for the new smaller iPad. My plan of course is to be amongst the first in line for the iPad Mini on launch day, so I’ve been following all the reports and speculation about the range of models and predicted price points for them. — John Gruber’s typically sharp analysis and case for why the new smaller iPad could cost less than the latest iPod Touch ($299). I also hope Gruber is right in his thinking that iPad Air is a better and more likely name for the new device – I think that’s a much better name too. 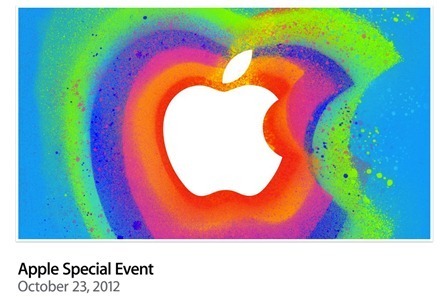 A couple days ago we learned that Apple’s special event with their expected unveiling of the iPad Mini (or whatever name is given to the new smaller iPad) is set for next Tuesday, October 23. 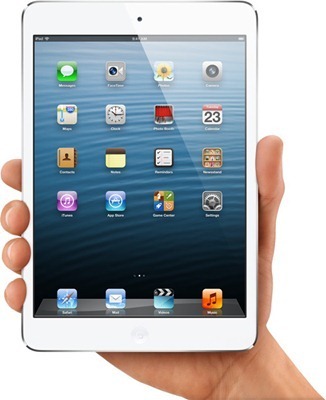 After months of rumors and leaks we should get an official announcement of the iPad Mini in just a few days. 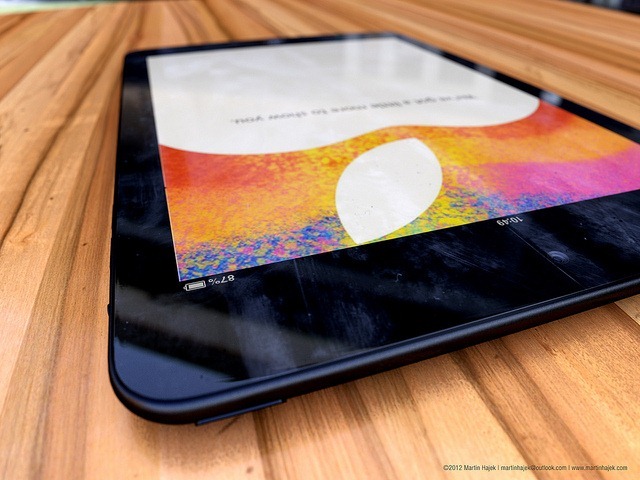 A 7-8 Inch Tablet Is An Attractive Option: One of my favorite tech writers, Kevin C. Tofel, has been singing the praises of smaller tablets for a long while now, and it seems his writing even helped convince Apple’s management team to reconsider this form factor. The popularity of devices like the Kindle Fire and Google’s Nexus 7 is further evidence that this size of tablet has some market traction. Having used a Kindle Fire and the new Kindle Fire HD, I am hoping that the rumors of the iPad Mini being much closer to 8 inches (7.85 is the consensus) prove true. Firstly because my understanding is that this will allow iPad apps to run at 1024X768 and developers won’t have to redo their apps for the iPad Mini, and also because my eyes are old and the slightly bigger display on the smaller iPad will be more comfortable for them. Apple has sent out their invites to a special event to be held next Tuesday, October 23. This is widely expected to be their unveiling event for a new smaller iPad – the iPad Mini or iPad Air or whatever name Apple chooses to give it. We’ve got a little more to show you. And of course we’ve already heard from a number of reliable sources that manufacturing has already started for the iPad Mini. There are even several leading Apple accessory vendors who are already promoting accessories for the new smaller iPad. 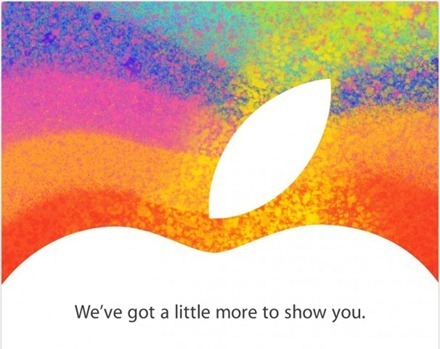 The Apple event is set to start at 10AM Pacific next Tuesday and will be held at the California Theatre in San Jose. You’ll be shocked to hear that I’m more than a tad excited and anxiously awaiting the iPad Mini event.